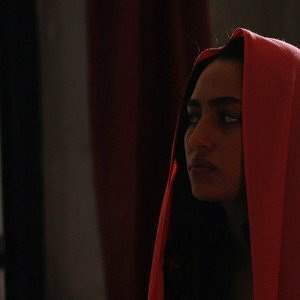 As part of the team of the Africa in Motion (AiM) Film Festival 2018, I was able to indulge my passion for Moroccan film through my participation in an international symposium on the Global Reach of Moroccan cinema, part of the Transnational Moroccan Cinema project at the University of Exeter and also to see UK Premiers of new Moroccan cinema. One such film was Apatride, directed by Narjiss Nejjar. 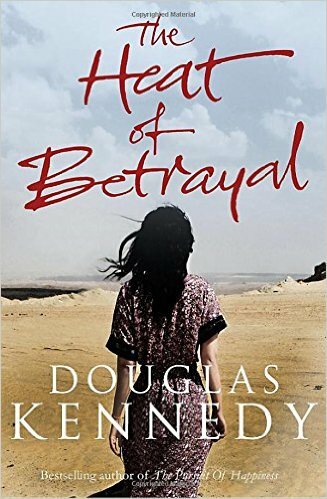 This entry was posted in Moroccan Musings and tagged blog, film, Morocco, reviews on October 30, 2018 by lynn. 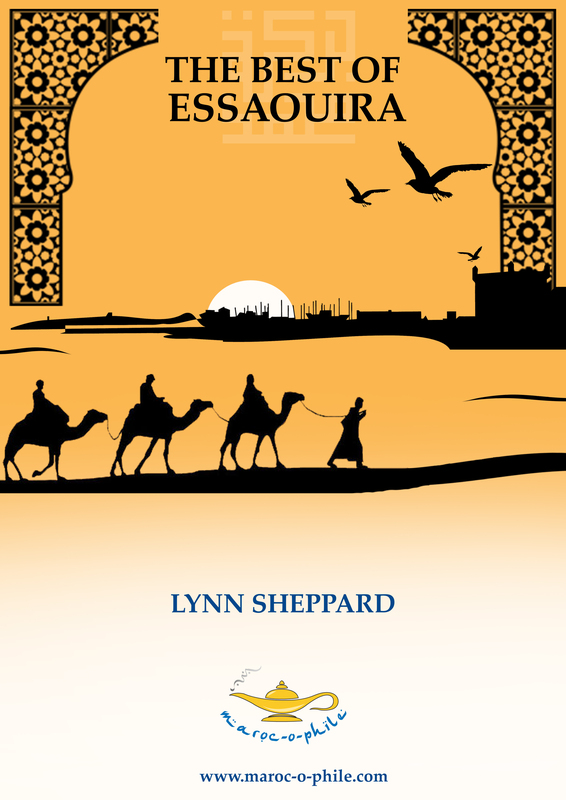 This entry was posted in Moroccan Musings and tagged blog, Essaouira, reviews on August 17, 2015 by lynn. While it is easier for those who eat meat or fish to find interesting and nourishing food in Essaouira, it is not impossible to find vegan food in the city, although you will meet people who don’t quite understand the concept. Morocco is a country abundant in fresh vegetables and no stranger to pulses. With a little preparation and forward planning, you will survive and might even have a couple of truly excellent meals! I compiled this list of vegan restaurants in Essaouira and other vegan options for finding vegan food. 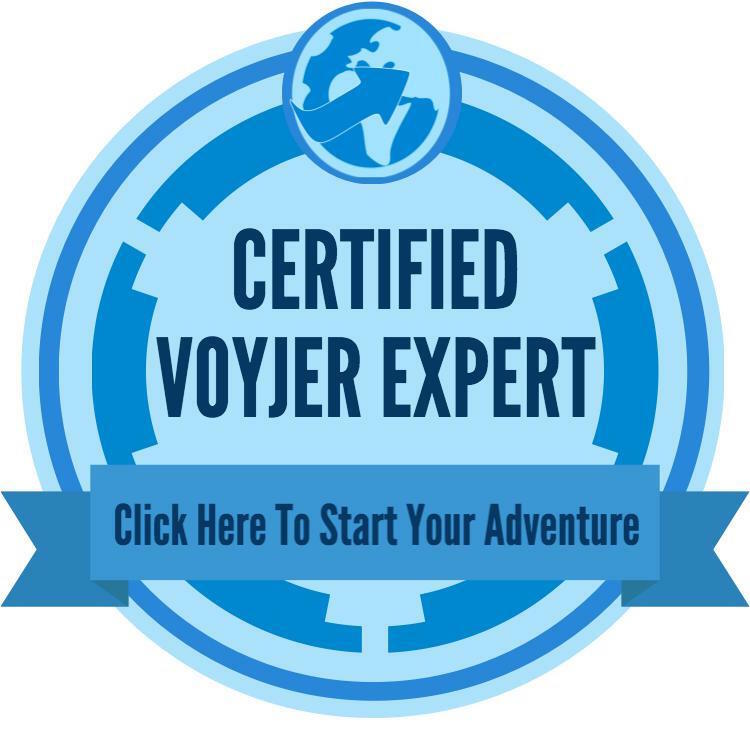 Read my post for Travel Exploration about meat-free travel in Morocco for ideas. If you’d like to cook vegan Moroccan food at home, check out my recipe for chickpea tajine. 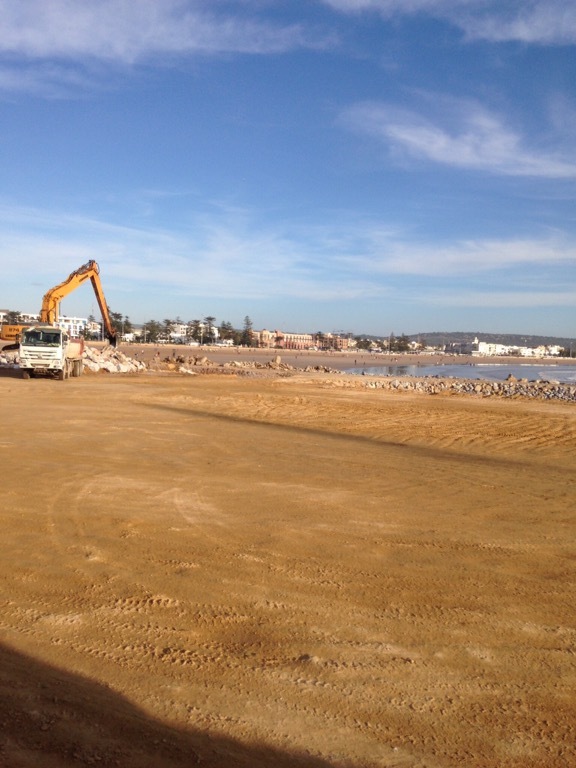 This entry was posted in FAQs and tagged Essaouira, food, reviews on June 29, 2015 by lynn. 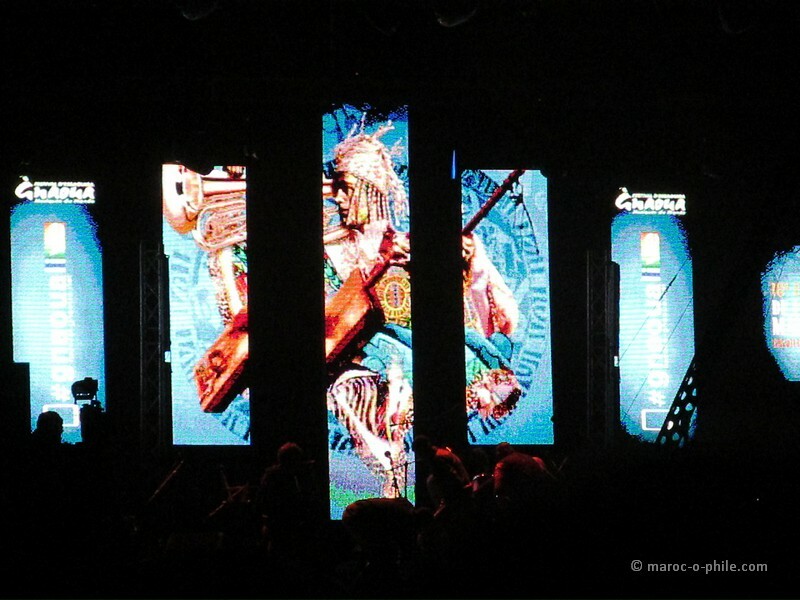 Essaouira, 15 May 2015 – Yesterday, Essaouira‘s annual Gnaoua World Music Festival got off to a colourful start with the opening parade and concert featuring local and national gnaoua groups and international World Music artists. 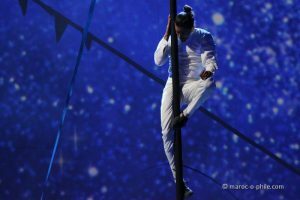 This is the 18th edition of the event, which is the largest in the festival calendar of this small port town on Morocco’s Atlantic Coast. Other annual festivals include the Festival des Alizés, a celebration of international classical and traditional music held every Spring, and the Festival des Andalousies Atlantiques, a festival celebrating the Judeo-Muslim musical traditions of Al Andalous, which are also a frequent feature of Fes festivals such as the Sacred Music Festival, which begins next week in Fes on 22 May 2015. Each year, the Essaouira Gnaoua Festival gets underway with a parade through the centre of the Essaouira medina of all the gnaoua groups in their finest regalia, embroidered costumes and caps studded with cowrie shells. The bands are often accompanied by standard-bearers carrying huge flags and feature the typical gnaoua instruments: the krakeb castanets, the stringed gimbri and the tbel drum, which is played with a crooked stick. Every so often, the groups pause to demonstrate the fervent whirling and acrobatics which simulate the trance induced by the heavy beats of the instruments. 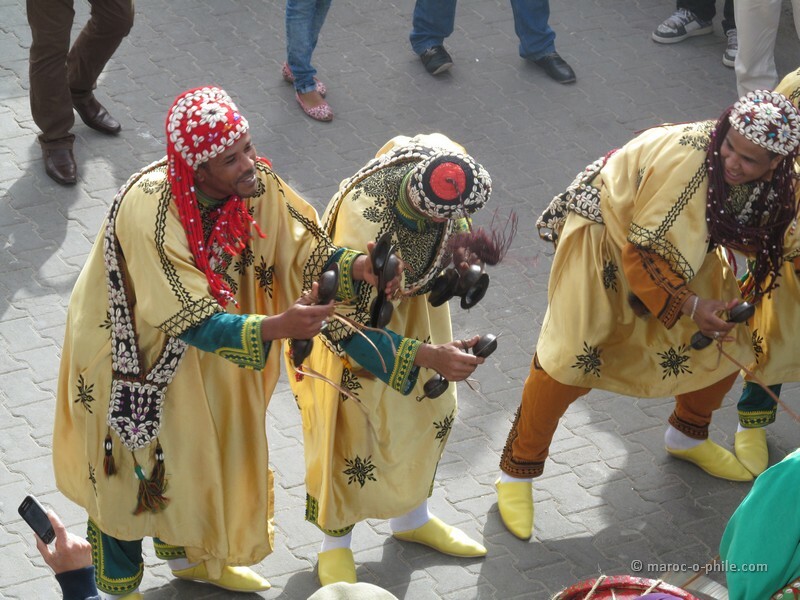 In the street, though, in this carnival atmosphere, these movements are more for show than religious practice and the circles the gnaoua form resemble an elaborately coloured dance-off between rival acrobatic troupes. Gnaoua music originated in sub-Saharan Africa. With the trade in goods and men across the great desert, African slaves brought their traditions and their experience of hardship and exile into Morocco. Over time, their traditions were absorbed into Islam and Gnaoua brotherhoods of adherents gathered around a maâlem (master) developed in zawiyas (centres devoted to religious learning). The Gnaoua tradition is strong in Essaouira, with its previous role as a major trading port and its centuries’ old connections to Timbuktu and other West African cities. Swiris -the natives of Essaouira – are particularly proud of their home-grown masters, such as Maâlem Mahmoud Guinéa and his brother Maâlem Mokhtar Guinéa, Maâlem Allal Soudani and others. However, they are also welcoming of the big names of Gnaoua music from other cities, such as Maâlem Hamid el Kasri, who opened the festival this year alongside Humayun Khan of Afghanistan. When a great maâlem is on stage, throughout the audience, one hears young and old singing along, responding to the chant of the master, and clapping out the frenetic polyphonic beat. 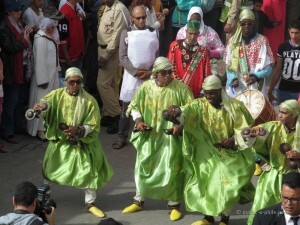 The Gnaoua Festival is also a stage for some of the best Moroccan and international stars of the World Music scene. The most exciting concerts are those on the main stage (on Place Moulay Hassan) late at night. 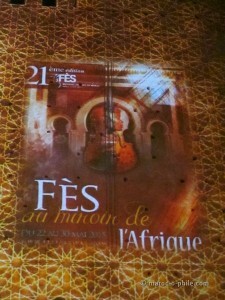 The fusion concerts bring together a gnaoua group with artists from a completely different genre for a unique kind of mash-up unlike any other. Gnaoua jazz? Sufi-Voodoo fusion? Gnaoua-folk? Everything is possible under the starry skies and the gusting trade winds of Essaouira! This article originally appeared on the blog, The View From Fez. This entry was posted in Moroccan Musings and tagged blog, culture, Essaouira, Morocco, music, reviews, travel on May 22, 2015 by lynn. This entry was posted in Moroccan Musings and tagged blog, Essaouira, reviews, travel on May 20, 2015 by lynn. 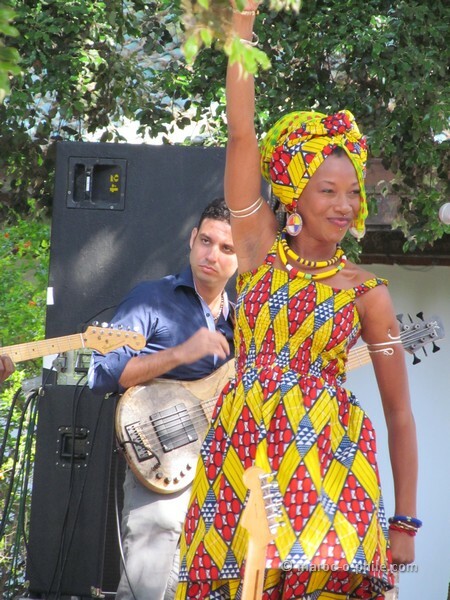 Essaouira Gnaoua Festival 2015 is underway! 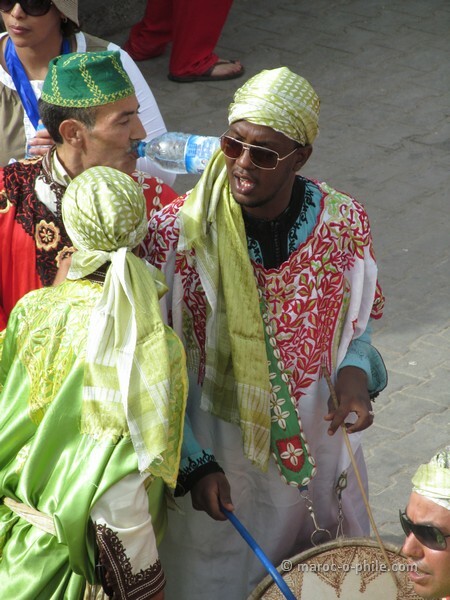 The Essaouira Gnaoua Festival 2015 started yesterday, 14 May with a colourful carnival parade of the gnaoua artists through the main street of the Essaouira medina. The festival continues now until Sunday 17 May with concerts, exhibitions, open air shows and intimate gigs all over the city, much of it for free. This entry was posted in Moroccan Musings and tagged blog, culture, Essaouira, music, reviews, travel on May 15, 2015 by lynn.